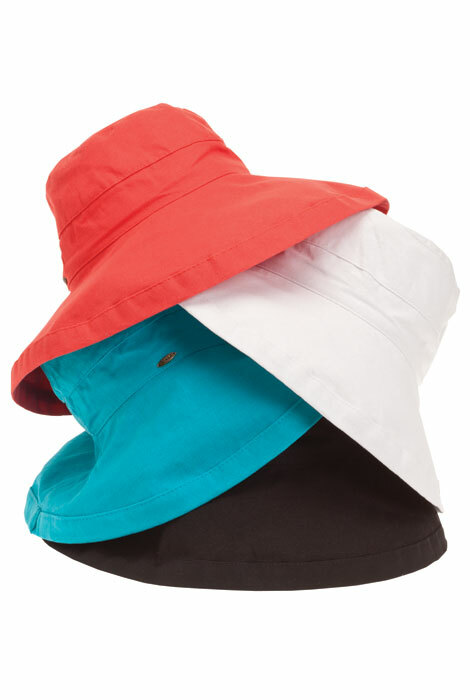 Enjoy full, UPF 50+ protection and cool, breathable comfort in 100% cotton with this UPF 50+ big brim hat by Scala. 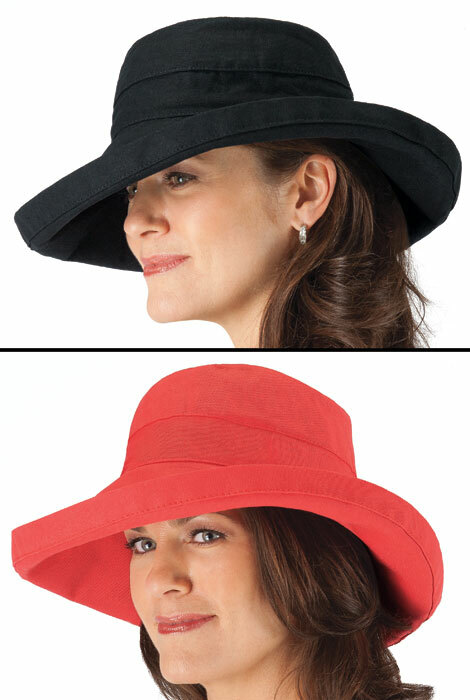 wide brim sun hat is packable and easy to store; spot clean. 3" brim. Imported. 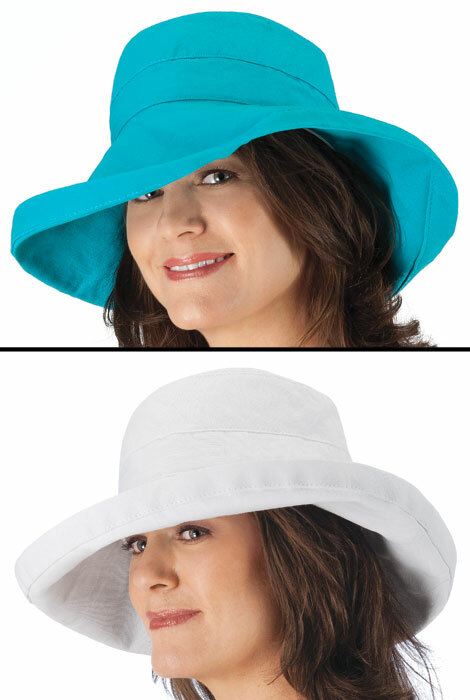 Sun protection hat comes in one size; includes adjustable inner strap for custom fit. I need sun protection for my face but couldn't find anything stylish with 50 SPF. This is only one I've found. Very feminine as well. To use in the hot summer sun. Will need during my walking exercises...description indicates the hat is cool & will block the sun. Nice hat - like the big brim! Firm brim that can be turned up or down. I am going on a cruise and need a good hat. This is more my style. I like the stile and hope it very easy travel with in my luggage.